This has been some week for Phillies fans, I haven't posted in a few days as most of the area has been preparing for a large hurricane named Irene. The Phils wanted to try and get this series played by shuffling the Sunday game to this afternoon at 1:05pm and then playing a night game on top of that (Of course the Phils cancelled the night game prior today). As soon as I saw that schedule I had to wonder to myself if the Phils were reading the same reports as the rest of us. The team actually didn't announce a postponement of the already rescheduled game that was supposed to start at 1:05 PM until after this time on Saturday, that is plain wrong. A large part of the Phillies fan base comes from New Jersey and areas outside of the city of Philadelphia, most people at the coast line were evacuated from their homes and under a state of emergency around the area. The week that just was in Philadelphia and vicinity has been one that I am sure will be remembered for a long, long, time. First, there was an earthquake on Tuesday, 8/23/11 and that occurred just before 2 pm on a game day. Never before has this area felt the effects of something as strong as that. The stadium had to be checked for cracks and the safety of it's fans that were going to fill the stadium later that night. 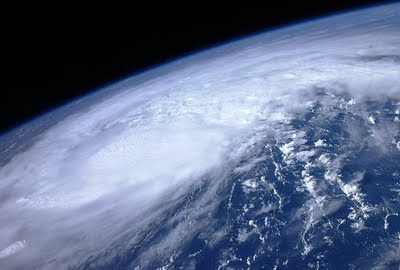 Now, there is a hurricane bearing down on the area. This kind of puts a damper on baseball, but there will be more baseball to come. Remember to heed the warnings and advice of local government if you live in the tri-state area around Philadelphia, this storm may have been downgraded slightly from what originally was forecast, but it will remain very dangerous just the same. The Philadelphia tri-state area has not had two events like the ones that are affecting us today and last Tuesday in the history of baseball. Hopefully, we'll all get through this storm without any trouble, and we'll be watching some great games again by the Phillies who have taken to the road and Cincinnati for Monday night. Talk to you all then!